As you drive through Australia’s rugged outback on this eight-night visual discovery, you’ll witness the land slowly metamorphosing from burgeoning forests to rugged mountain landscapes as you tarry down the long stretches of open road. 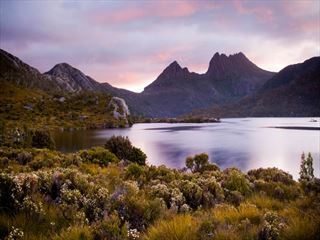 Feast your eyes on Tasmania’s captivating charms in all its verdant natural glory in an easily navigated bijou package. Drink in the panoramic vistas from up high on Mount Wellington over to the glistening coast of Wineglass Bay, the rustic buildings of Hobart to the riversides of Launceston. Full of hidden gems, Tasmania is one of Australia’s best-kept secrets – a magical island at the edge of the world, that is just crying out to be explored. This bite-sized little tour delivers a host of off-the-beaten-track highlights at a languid pace. See Maria Island, a natural wildlife sanctuary and off-shore retreat, only accessible by ferry. You’ll love the sweeping bays and dramatic cliffs. Unique accommodation is provided throughout this tour, like the converted Thousand Lakes Lodge, which was once an Antarctic training base, and Cradle Mountain Hotel at the foot of the mountain. Local guides with tell stories and share their passion for Tasmania, adding to the experience. 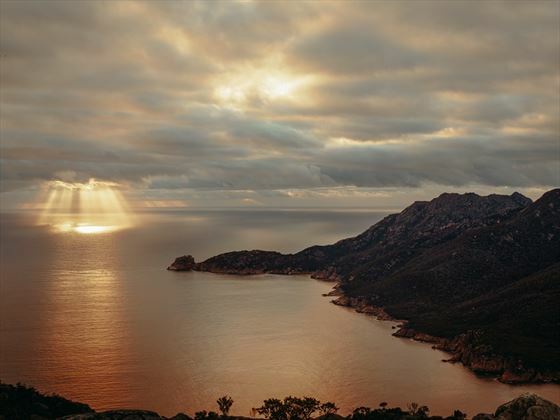 Visit the famous MONA, and enjoy a whole day exploring Freycinet National Park. When packing for this trip, you’ll need to consider the colder climes of the south. In addition to light clothing for warmer days, pack some waterproof clothes and some comfortable walking shoes for your mountain visits, where the weather can change quickly. A high level of fitness is not required for this tour, but it’s worth noting that many activities will be on the water and in national parks, with walking involved too (INT - PUCTD). Tasmania welcomes you warmly to the capital city of Hobart. This is a charming city offering a unique melting pot of heritage, scenery and culture blending seamlessly with charming sandstone buildings and a tranquil waterfront. 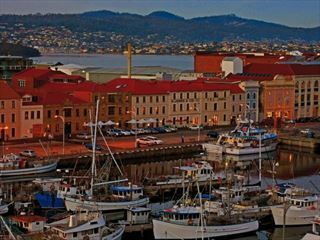 Check into your hotel, then take time to explore a little piece of Hobart. Head out to Salamanca Markets, which is proudly known as one of Australia’s best outdoor markets. It is full of excellent local produce and food stalls, so if you’re feeling a little peckish after your long flight, you can sample a few local dishes. Take a walk along the peaceful waterfront, which provides a great view of the mountains hugging the River Derwent. Art and culture vultures will love the nearby Museum of Old and New Art, which yields a few delights that art aficionados will approve of. This afternoon you’ll meet with your guide and fellow travelling companions for a brief explanation on your exciting itinerary ahead. You’re then free to venture out with the group for dinner, so you can have a leisurely evening sampling some of Hobart’s deliciously fresh seafood. 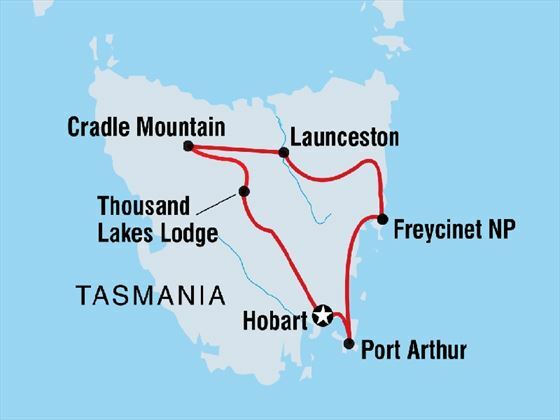 Today your group will journey south to the Tasman Peninsula to embark on a wilderness cruise along the spectacular coastline. As you sail beneath one of the highest vertical sea cliffs in the southern hemisphere, you’ll witness a variety of captivating native sea life – seals, migrating whales and seabirds are often spotted in the area, so be sure to have your camera or phone at the ready so you don’t miss out on some great photo opportunities. 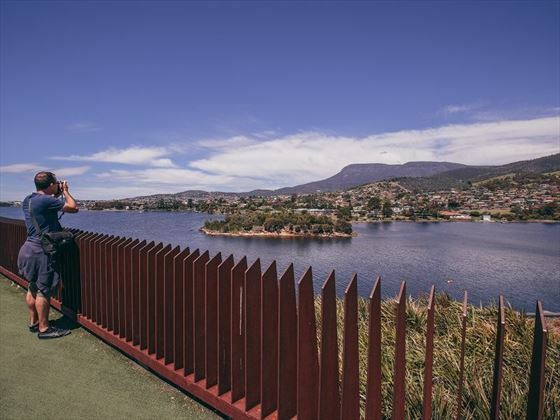 After returning to shore, your guide will take you on a walk around the Port Arthur Historic Site, which is the former location of Australia’s most notorious convict prison and full of stories and colonial antiquity. At the end of your tour, you’ll head back to your Hobart hotel for the evening. 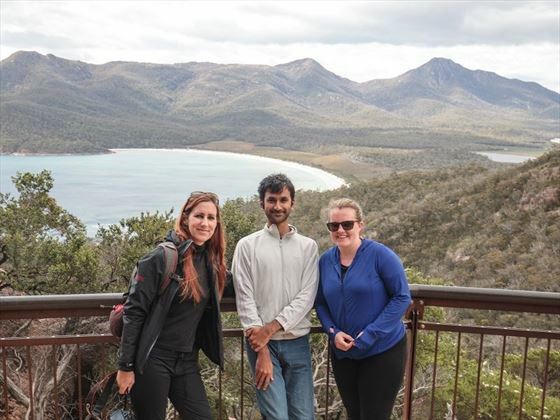 When breakfast is over, you’ll leave Hobart, stopping off first to visit Mount Wellington Park, for the opportunity to savour imposing views of the city and the surrounding mountains, forests and waterways on a trek towards the summit (weather permitting). Heading back to town, you’ll visit the Museum of Old and New Art. MONA is one of the most culturally significant museums in Australia due to its quirky and sometimes provocative exhibitions. Next, you’ll drive up towards Tasmania’s Central Plateau in the afternoon, passing through Bothwell and Yingina (Great Lake) as you’re treated to panoramic views of the placid waters on your drive by. 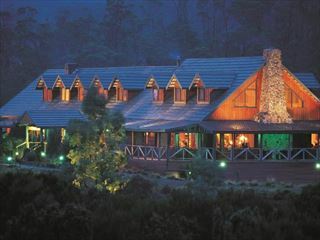 Tonight’s stay has many promises in store at a remarkable lodge near Lake August that encompasses rugged shrubbery, tiny mires and open highland scenery. The lodge was previously used as an arctic training base and the accommodation comes complete with a charming fireplace and comfortable leather couches. The best bit though is the fully stocked larder which has delicious local meats and cheeses, so you can tuck into an indulgent choice of snacks. Today you’ll proceed through the Greater Western Tiers, weaving your way down into the Meander Valley. The local aviaries here provide some rather delicious clover honey with light citrus and vanilla flavours – try some sweet and sticky local treats before heading to a wildlife sanctuary for a visit with the local Tasmanian Devils. They’re cuter than they sound but they do have a rather cantankerous side to them, which can manifest into a maniacal rage when they come into contact with a predator. You’ll hike on to Tulampanga (Alum Cliffs), which is a spiritual place of some significance due to the ochre found in the surrounding ranges. You’ll continue on through trails forged by the trappers, hunters and loggers who once resided here and then stop for a welcoming break at mural filled Sheffield before returning to the gateway to Cradle Mountain National Park. 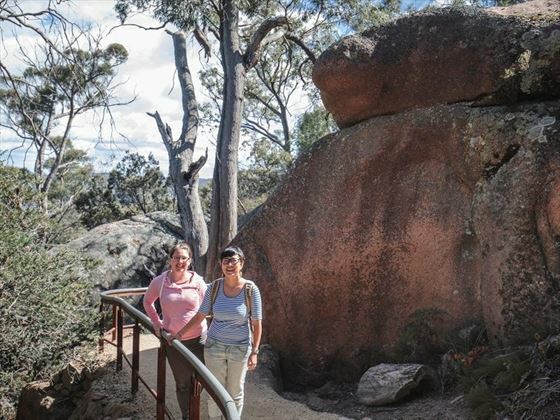 Once you’re at your destination you can choose to relax in and around the hotel and enjoy the picturesque natural landscapes of this World Heritage-listed area. Pop into the Wilderness Gallery to browse through the evocative art, photos and films that are exhibited here. If you’re feeling energetic today and want to explore more of the outdoors, then you can venture out in the magnificent wilderness on one of the numerous walking tracks. If you prefer a more leisurely day, then why not consider taking a trip to Waldheim Chalet or meandering along the Dove Lake circuit? For the adventure seekers amongst you, you can get further glimpses of gorgeous lakes with their impressive and rugged mountain backdrops. The hike to Marion’s Lookout is the perfect choice. You have a full afternoon free to expand your walking options and uncover even more of the outstanding local flora and fauna. Or, why not simply kick back and enjoy the facilities at the hotel? Leaving your hotel, you’ll take to the road, heading down the mountain to visit Ashgrove Farm. Here you will witness some of Tasmania’s most famous cheese being produced. 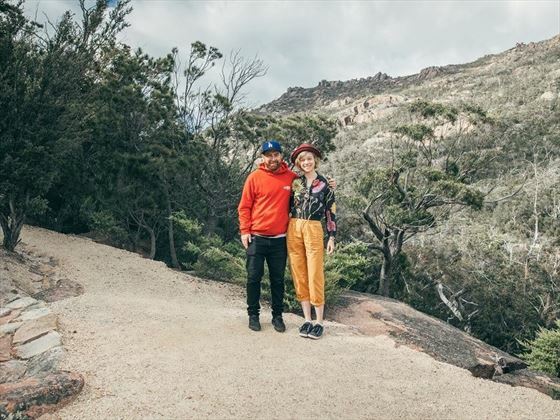 Dairy lovers can enjoy a nibble of cheese before experiencing the rugged beauty of Cataract Gorge. Launceston is your next stop and as Australia’s third oldest city there’s much to see. Head to the city centre for a bit of a wander and take a break for lunch. You will then spend the afternoon driving along historic Evandale through the Fingal Valley for stunningly scenic views of the east coast. You’ll stop briefly at Bicheno before arriving at your lodge in the Freycinet National Park, which is where you will be spending the night. You can glimpse the last of the shimmering sunlight as it sparkles across the waters of Great Oyster Bay. Perfect for a chilled and serene moment, especially if you accompany it with a glass or two of chilled local wine. Freycinet National Park has an interesting mixture of harsh, granite mountains as well as inviting beachscapes. You can spend a pleasant day here, marvelling at the dramatic peaks of the Hazards and try to spot white-bellied sea-eagles as they soar majestically above you. There are some great optional walks to Wineglass Bay, Cape Tourville or the park’s nearby lookout if the fancy takes you. Don’t feel you constantly have to be on the move though! If you’d rather spend some time at a more leisurely pace, then let the luxury of the lodge beckon you, there’s entertainment throughout the day and you can also leisurely explore the local area with a spot of beach-hunting in search of tranquil ocean-side experiences. As you depart Freycinet, you will travel even further south along the coast, passing through Swansea, before stopping off at Triabunna. Next, you’ll be hopping on a ferry to picture-perfect Maria Island, a place bursting with Aboriginal and European history. Capture the moment on your camera of the glorious sights of the Painted Cliffs, Fossil Cliffs and local wildlife. As you meander along the island trails, there is endless stunning island scenery to feast your eyes on. You’ll stop by at an historic settlement before relaxing to enjoy a scrumptious picnic lunch. After lunch, you’ll make your way back to the mainland for the town of Richmond, bursting with quaint 19th-century architecture. Be sure to check out the beautifully preserved Richmond Bridge, local Gaol and Catholic Church before it’s time to return to Hobart for the evening. Tonight, you may wish to re-visit the Salamanca Markets to share a drink or two with your fellow travelling buddies before it’s time for your Tasmanian adventure to end the next day. Waking up, you’ll head to breakfast and then you can check out of your hotel to enjoy any spare time you have left in Hobart. Tasman Island wilderness cruise. Port Arthur Historic Site - entry and tour. Mount Wellington. MONA Museum. Tasmanian Devil Wildlife Sanctuary. Cradle Mountain. Freycinet National Park. Wineglass Bay. Maria Island.